Anand Mahindra, who is quite vocal on social media, often shares and retweets some of the best stories on the internet. In a tweet today, Mahindra shared the story of a couple who run a tea stall to fund their dream of world tour. The couple – Vijayan and Mohana – has travelled to 23 countries so far. The video Mahindra shared was made by travel blogger Drew Binsky, which was then retweeted by Anand Mahindra. Vijayan and Mohana run Sree Balaji Coffee House, a nondescript tea stall in the middle of Kochi. According to Vijayan, they end up saving Rs 300 per day. So, how do they save for travel? The couple follows a simple but efficient strategy. To begin with, the couple runs the shop themselves and do not have any employees to help them. They keep their expenses to the minimum. Nevertheless, it has not been easy to save up for their travels, as Binsky narrates. The couple take loans to travel to different countries. After every trip they spend around three years repaying the bank. They continue this cycle for every trip. Posters of all the countries they have visited are framed and hung on the wall. They have also exhibited bills of all the countries in their shop. Vijayan and Mohana, both nearing 70, have been married for 45 years. They have always shared the dream of travelling the world. So, to fund their dream, Vijayan started selling tea on the streets in 1963 – around 56 years ago. Vijayan who said his favourite countries are Singapore, Switzerland and America (New York), now plans to visit Sweden, Denmark, The Netherlands, Greenland and Norway. 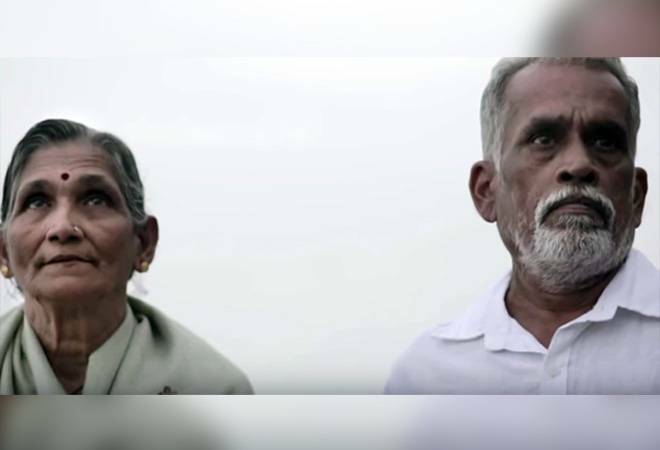 A documentary film, Invisible Wings, made on the couple by director Hari M Mohanan was judged the Best Film – Non Fiction at the Filmfare Awards 2018.